This is a Prey locations guide. Here you will find details on the Trauma Center’s hidden behavior test safe. For more Prey content, head over to our top page. For this walkthrough, it’s best that you have a reliable pool of ammunition. Make sure to take the silenced pistol from Your Office upstairs before you traverse this bloody place. Next to the shotgun and the gloo cannon, your pistol is one of the closest friends you’ve got. Voltaic and thermal phantoms roam these bloody halls. Take them out. I suggest pulling off stealth shots from meters away, and using turrets (there are at least three in the lobby) to distract them as you whittle their health to zero. Head to Mathias Kohl, Counselor‘s office (next to Hendrik DeVries‘). There you will find two computers. 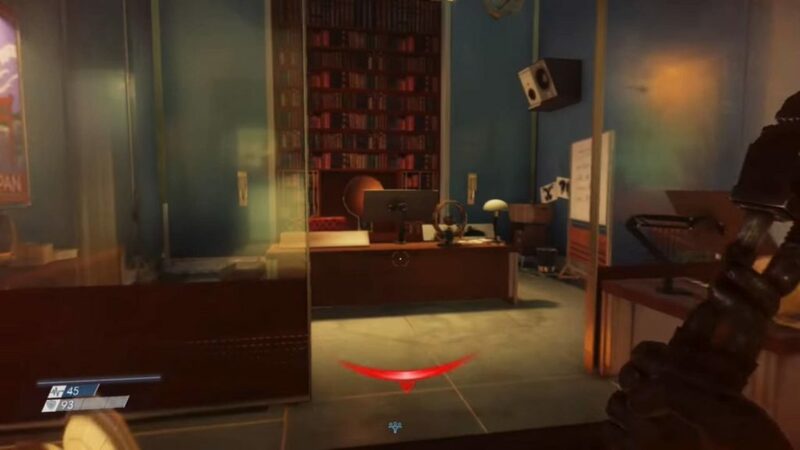 First, head into the office and activate the behavior test from Mathias’ desktop computer. Head on over to the other computer and answer the test. The answers in order are A, C, B, A and C.
Where do you find the answers to the behavior test. Is it on a computer terminal or in a book, written on a note etc. As a gamer I refuse to use things in game if I can’t gain access in game. © 2017 Bethesda Softworks LLC, a ZeniMax Media company. Prey, Arkane, Bethesda, Bethesda Softworks, Zenimax and related logos are registered trademarks or trademarks of Zenimax Media Inc. In the U.S. and/or other countries. All Rights Reserved. Portions of the Prey game software are included under license © 2004-2017 Crytek GMBH. All Rights Reserved. The Prey game software includes Autodesk® Scaleform® software, © 2012 Autodesk, Inc. All Rights Reserved. All other trademarks or trade names are the property of their respective owners. All Rights Reserved.